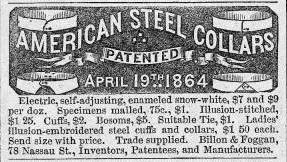 Advertisement for steel collars. Billon and Foggan adapted the design from a producer in Manchester, England, taking out new patents for the American market. 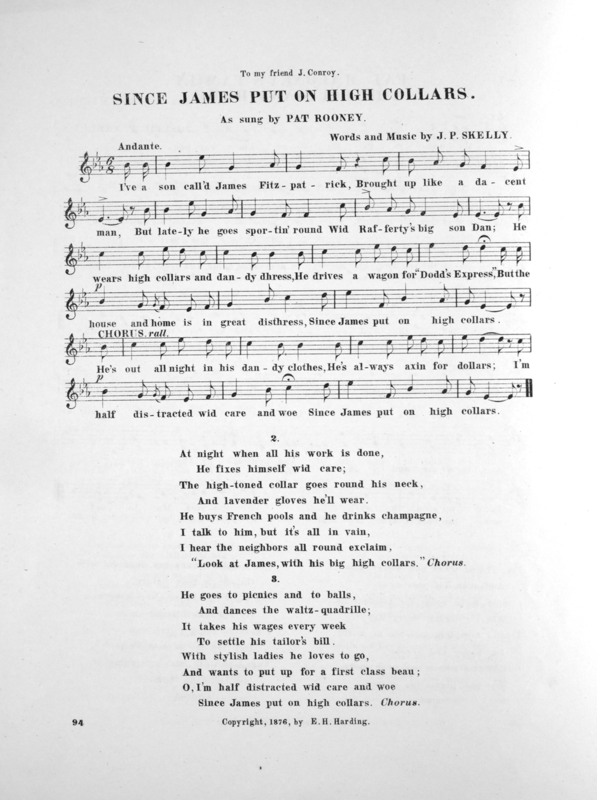 Harper’s Weekly, 27 May, 1865. The city swell clerk . . . loves to parade his cheap clothes, paper collars, and shiny cuffs, not forgetting the inseparable walking stick, which forms the “make-up” of those precocious youths who are forced to dress respectably upon starvation wages, and to smile, smirk, and bow before the vulgar presence of their guv’nors, who begrudge them their miserable weekly screw. 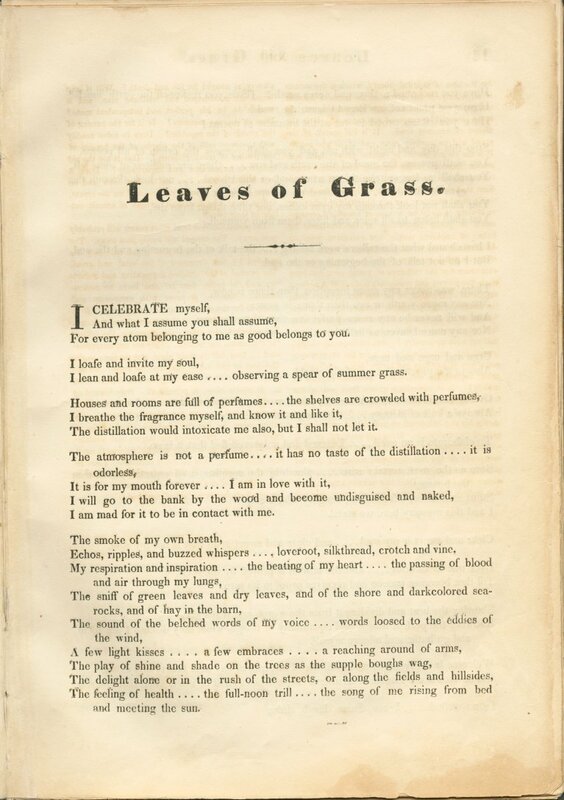 In fact, Charles Dickens himself had already set the scene in his first publication, Sketches by Boz (1836), where a junior clerk arrives to a fashionable dancing party “in a pair of boots with black cloth fronts, and brings his shoes in his coat-pocket.” Clearly the young man is limited more by his means than by his social aspirations. On both sides of the Atlantic, industry was opening up a new middle ground in society, which young men occupied with an uneasy mix of bullish ambition and forced humility. The press had a way of delineating both extremes of the territory—slavery to human vanity on one hand, and slavery to capital on the other. Reality for most clerks probably stood somewhere between the two. One analysis of Philadelphia between 1870 and 1920 estimates that half of the city’s clerical workers were dependents. This may have meant living with parents, but in many cases it specifically meant supporting a widowed mother. Among those who had struck out on their own, some boarded with other families, while some were now married and heading their own households. Dickens was right about the salaries of junior clerks: they were meager, in part because employers could assume that wages needn’t cover the cost of lodging. But the trope of the loner clerk on a budget is not hard to fathom, either. 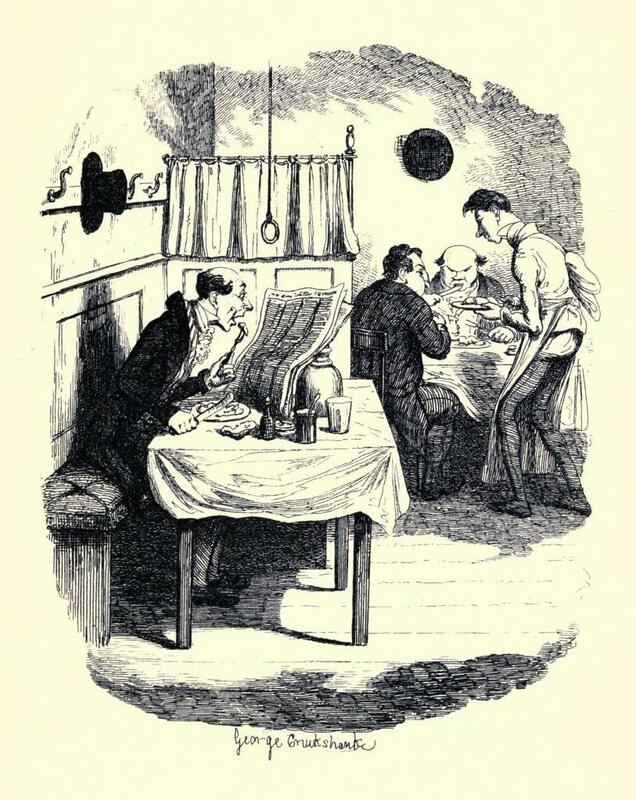 Those who did live without the benefit of a wife, a mother, or even dinner companions might have looked something like Charles Cruikshank’s accompanying illustration. But when clerks entered the new business world, they also entered a world of showmanship. The carefully chosen clothing and furnishings that marked middle-class people as genteel in their home lives spilled over into commercial spaces as well. Offices, stores, and workshops had occupied the front rooms of ordinary houses at the turn of the nineteenth century, but by mid-century their public spaces looked more like Victorian parlors. View of the factory and offices of Ray and Taylor, originally printed on the firm’s trade cards. Reproduced in Horace Greeley’s Great Industries. 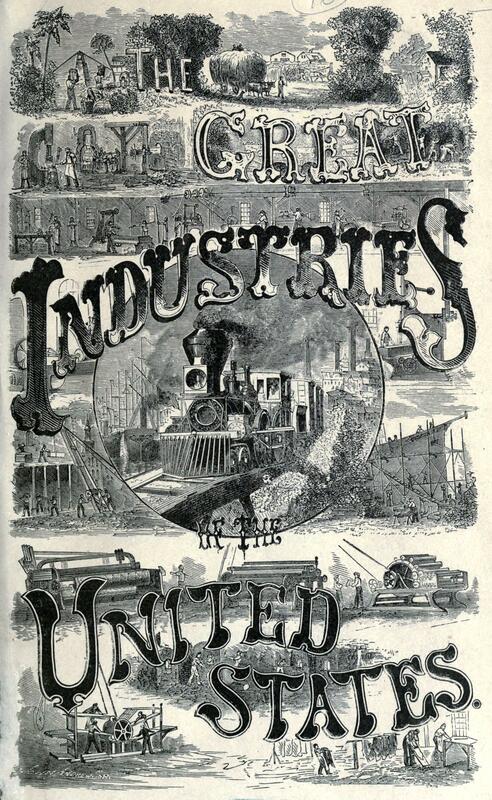 Title page, The Great Industries of the United States (1872). In fact, the firm of Ray and Taylor—a leading manufacturer of paper collars, cuffs, and shirt-fronts—embodied this ethos of refinement in its own elegant building in Springfield, Massachusetts. It was designed in the fashionable French Second Empire style of the late 1860s. 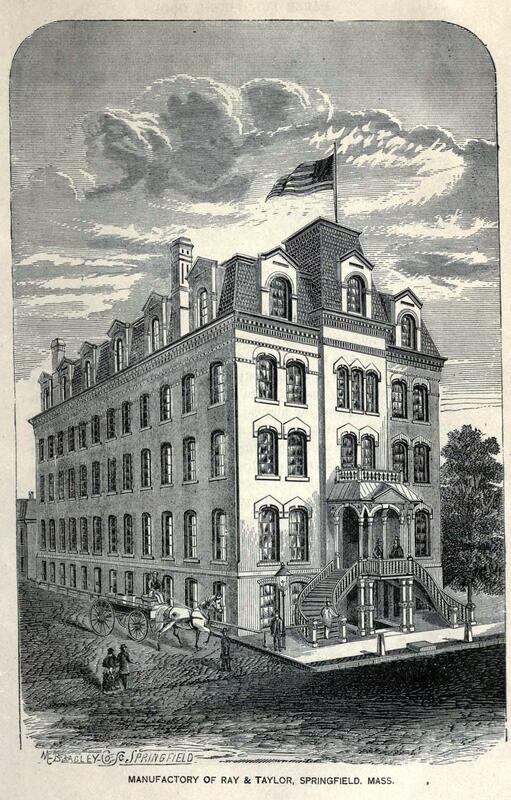 And when the newsman Horace Greeley and his co-authors published their Great Industries of the United States (1872), discussion of the advanced steam-powered machinery there turned freely to “sumptuous offices, which are furnished with great taste, ornamented with fresco, and appointed with all modern conveniences.” Clerks were a part of this world. Crisply suited and collared, they took on the look of their social and professional superiors, ready to project the genteel dignity of the business they handled. Naturally enough, the new clerical crowd slipped from business hours into leisure hours without taking off either its collars or its affect. Since many of the young men were unburdened by domestic obligations, their cohort became a fixture in urban entertainment venues. They frequented the theaters and became a core constituency of blackface minstrel shows, where white performers sang, danced, and delivered topical humor through personas based on black racial stereotypes. They also formed fraternal clubs that sponsored a variety of activities, from music to sport to debate. In the eyes of traditionalists, white-collar workers were loafers, and their loafing smacked of something radical. Especially in America, where small farming was a cornerstone of the early national economy, and where wealth was built up by active pursuits, the affairs of urban offices, counting-rooms, and salesrooms were incomprehensible. Clerks labored over paperwork that would never have existed a generation earlier. They produced nothing tangible, only more paperwork. However, the young men seeking clerical jobs believed they were on an upward path—that they would eventually become proprietors themselves. Often they were mistaken, but dressing the part each day and working in such close proximity to their superiors created delusions. In the meantime, a chorus of criticism grew. Public commentators from Noah Webster to Henry Ward Beecher called upon fathers to keep their sons near home, where they could help themselves and also do their civic part by taking up manual production. If clothing indeed made the man, it may not always have made him into what he had expected. More than any other outcome, urban strivers pooled into a new class of their own, and its porous boundaries left them open to sniping from all sides.